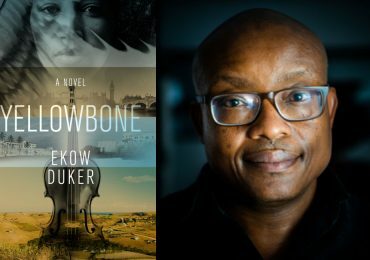 A major change is happening on the South African literary landscape, and it has its roots in the formation of book clubs in black communities. 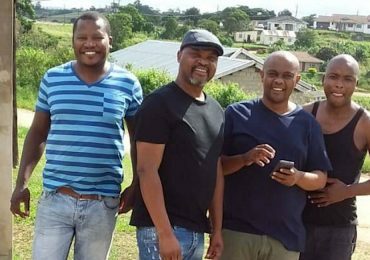 These clubs are gaining momentum not only in Johannesburg and Pretoria, but also in other parts of the country, and they’re having a profound impact on our society’s culture. When I was first published, in 2004, the only book clubs that I knew of were run by white women. I remember vividly how I came to learn of one such club. It was after one of my sessions at the Franschhoek Literary Festival in 2007. A white Afrikaans lady mentioned in passing that she belonged to a book club that had been in existence since the nineteenth-century, before the First Anglo–Boer War. She told me that her great-grandmother had belonged to the book club, and that the tradition had been passed down through the generations. What she treasured most on her inherited bookshelf, she said, was an autographed copy of The Story of an African Farm, the novel by Olive Schreiner first published in 1883. After that conversation I concluded that this must be one reason Afrikaans authors are among the best-selling authors in South Africa: they have a solid support base, in the form of book clubs. This encouraged me to start preaching the gospel of the book club whenever I had the chance to talk to young black South Africans. Chapter and verse of this gospel is that book clubs have an enormous, positive influence on the personal and emotional development of young people, because they ensure they become culturally active and socially involved; the clubs help young people overcome illiteracy and ignorance, and also naturally help strengthen a culture of reading; most of all, the clubs introduce young people, who might find themselves suffering hardship, to the immeasurable comfort found in books. Before 2011, The Miriam Tlali Reading and Book Club was first club I was aware of that was founded by black people. There may have been others, of course, but this one was very active, including on social media. It hosted literary giants that I admired, such as the late Poet Laureate Professor Keorapetse Kgositsile, Nobel Laureate Nadine Gordimer, the late Professor Lewis Nkosi, and many more. Besides that, I liked the fact that it was named after one of our most talented scholars, novelists, short story writers and activists, Mme Miriam Tlali, who passed away just recently, in February 2017. They even hosted me, in 2014. It’s surely no coincidence that with the emergence of the Fallist movements—Rhodes Must Fall and Fees Must Fall, which advocate for the decolonisation of education—we have also witnessed the mushrooming of black book clubs across the country. In Johannesburg alone, I know of book clubs such as Bookamoso, the Literary Alliance, Bafati Babumbene, Zuri Book Club, BookWormers GP, the Cheeky Natives, and so on. 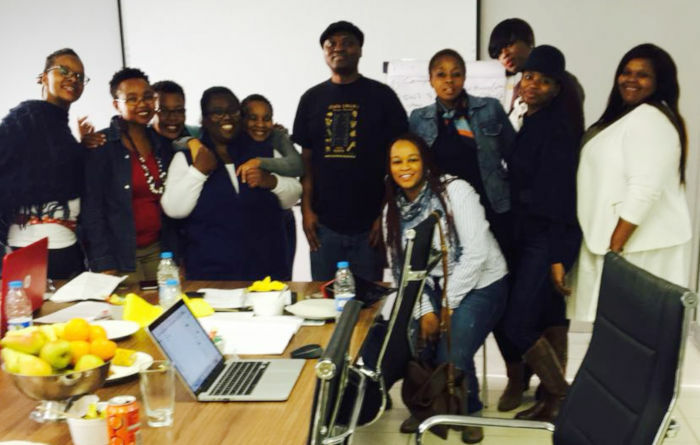 In Pretoria there are book clubs like Lefoko, Glam Book Club and Readers Club. 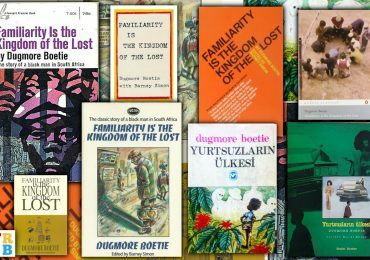 In Nelspruit we have Book Hive (header image); North-West has Lentswe Book Club in Pampierstad; and Durban has the Dolphin Coast Book and Film Club. The majority of these book clubs read African literature exclusively; and the great majority are made up of women, which in a broader sense shows exactly who is driving the decolonisation of knowledge in South Africa. 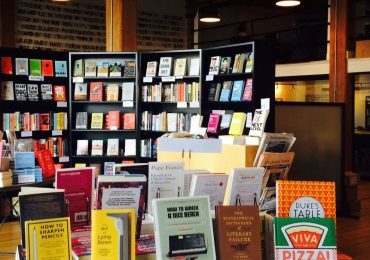 Book clubs are also becoming serious social media influencers, a fact that publishers are beginning to recognise. Many South African publishers now send their new releases to various book clubs for reviews and publicity, as that way news of the books reach more people through the clubs’ diverse networks. This has helped to push up the sales of the average bestselling South African English novel from the sad number of fewer than one thousand copies to a few thousand copies or more. Publishers often print less than a thousand copies of a South African novel in English, hoping to sell between six hundred and eight hundred. But the situation is changing, and I think it’s thanks to book clubs. For example, my new collection of short stories, Soweto, Under the Apricot Tree, sold more than two thousand copies in two months—a splendid number for South African fiction. My publisher, Kwela, did a print run of 2,500 copies when the book came out in mid-March this year, but now have been forced to print more. A large number of these books were sold through book clubs, an indication of how clubs and the workings of literacy and culture definitely intersect. The many book clubs I have visited, or even just seen on social media, put so much effort into hosting authors that their events become like mini-literary festivals. Some record podcasts, while others go as far as making book-themed cakes. As a result, the clubs have gained the trust of authors—more so, even, than the traditional literary festivals. For example, when book clubs host us, we know the members have read our books, and we listen and learn from the conversation. There is a direct connection, and sometimes these meetings even help us come up with themes and ideas for our writing that we may not have thought of before. Thus book clubs serve as a model for cooperation between authors and readers. Book clubs also a create space where people, who otherwise do not have the opportunity to, can meet and exchange views. 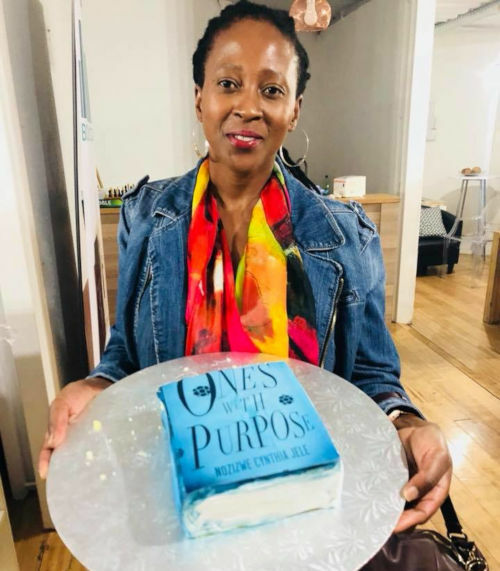 For example, earlier this year in April, Zukiswa Wanner, Siphiwo Mahala, Angela Makholwa and I were hosted by The Wordiest Bond Book Club, which is a book club within a book club, with nearly a thousand members. It is a platform where young activists, aspiring writers, dropouts and bloggers review literature and give hearings to social and cultural debates. They are a movement that is concerned with asking important questions about the foundations of our communities. 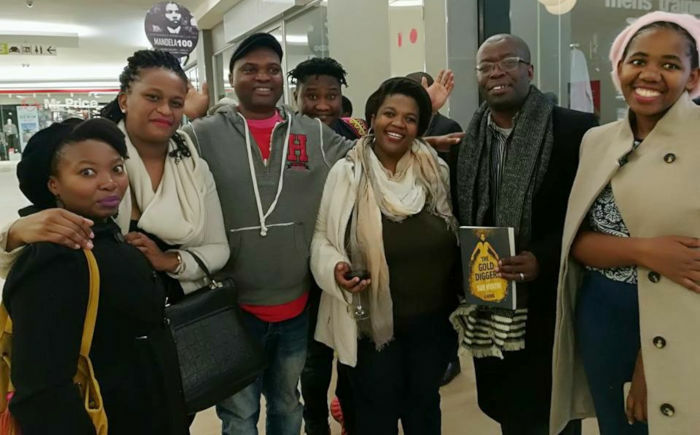 South Africa’s new book clubs are at the vanguard of promoting fresh, energetic and exciting South African voices—authors such as Nthikeng Mohlele, Mohale Mashigo, Siya Khumalo, Thuli Nhlapho and Malebo Sephodi, to mention a few. It is my hope that men will follow the example set by women and create book clubs of their own; and that more cities will follow the example set by Johannesburg and Pretoria. Book clubs make important contributions to the national discourse: a natural platform for intense discussions, they may be the seed we need to sprout discussions around everything from South Africa’s literacy rate to the question of land redistribution. Start a book club, and preach my gospel with me. Niq Mhlongo is The JRB City Editor. His latest book is an anthology of short stories, Soweto, Under the Apricot Tree. Follow him on Twitter. Do you want to join a book club? Do you run a book club? Let us know when and where, and what its focus is, on Facebook, Twitter or info@johannesburgreviewofbooks.com! 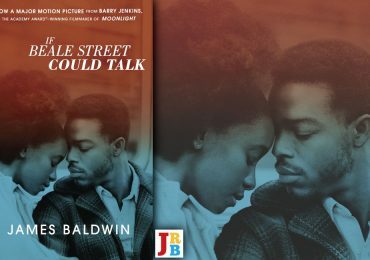 Great article, you have created the evidence needed to correct the old sayings and fatalistic tones people have towards a reading culture in black communities. Everyone reads, and it’s getting better!